This article talks about BS3621 locks and multi locking systems, what they are and why there are important in relation to high value home insurance. Specialist insurers of high value homes and contents, Highworth Insurance, discuss insurance claims, locking requirements (often in the small print) and how best to protect your home. What’s all the fuss over BS3621 locks? There are plenty of articles on the internet warning of the dangers of your household locks not being BS3621 and therefore invalidating your insurance claim in the event of a burglary. The fear factor in all of these seems to be that many people are unaware of this clause, which appears in many insurance policies and are consequently wasting their money on an insurance policy that doesn’t cover them in the event of a break-in on their property. This is indeed very true, many underwriters do insist on these locks as part of your insurance terms. However, the important things to keep in mind regarding the locks on your home and your insurance policy, is that firstly this is not some big conspiracy theory designed to trick responsible homeowners out of a rightful claim, secondly the ‘BS’ in BS3621 stands for ‘British Standard’- it is an effective grading for locks to ensure that decent, secure external locks are in place and thirdly, the importance of reading and checking policy documentation is stressed by all major insurers, primarily to avoid situations such as these in the event of a claim. In relation to high value home insurance, common sense plays a large factor. If your home is of high value or you have high value contents, collections, antiques or artwork on your premises, then good locks on your doors and windows are a fundamental security measure, alongside adequate high value home insurance and precautions such as safes and additional home security measures. How do you know if your locks are BS3621 standard? 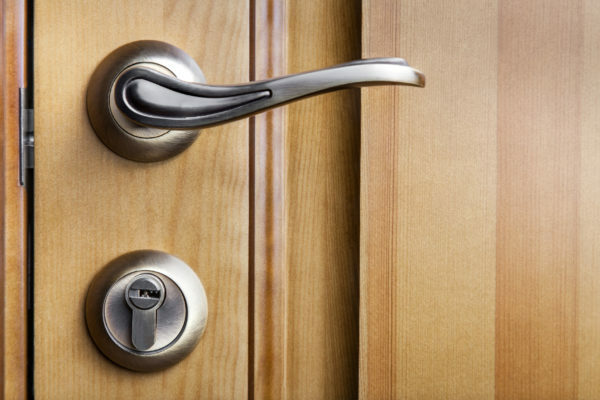 Many insurance policies state that the locks on your home should be to BS3621 or above. BS3621 relates to a mortice and cylinder rim lock, in which a key is used and can be removed on both sides. Other policies might stipulate alternatives like a 5 lever mortice deadlock which complies with BS3621. BS8621 – these are locks which only require a key to enter, therefore enabling emergency escape without the use of a key. There are commonly found in communal areas such as foyers to flats and apartments. BS10621 – these locks can only be locked from the outside using a key and are rarely used in a standard domestic capacity. A comprehensive knowledge of the finer details of locking systems is not required in order to meet the basic locking requirements referenced in insurance documents. If you are in doubt, you can check your locks for the British Standard kite mark, which should be displayed on the lock and the packaging. Always read your high value home insurance policy documentation carefully. Check the type of lock you have on your doors at home – look for the British Standard kite mark. Use them. It goes without saying that if you haven’t secured your property correctly you could be jeopardising an insurance claim resulting from a break in. Make sure that you lock your doors securely and remove the keys. Lockable windows with removable keys are also commonly requested by insurers, especially for ground level and easily accessible windows. Again in many homes, especially high value homes or homes with modern glazing, these are fitted as a matter of course. Naturally it is important that if you have these types of locks installed that you lock your windows and remove the keys accordingly, especially if the property is going to be left unattended for extended periods. If you live in a listed property or don’t have double glazing installed, then it is very important to check the details of your insurance policy for any mention of locking clauses that your property might not confirm to. If you are using an experienced and specialist insurer such as Highworth Insurance, for your listed building insurance, then it is worth discussing this with our knowledgeable account managers for your own peace of mind. Failure to comply with these requirements may invalidate any claim for theft, attempted theft, malicious damage or vandalism at Your Home. The above is an example of a standard clause within a high value home insurance policy. The locking requirements are plainly stated. You can talk to any one of our experienced Account Managers about all aspects of your high value home insurance. They will be able to give you a quick quote based on your conversation and provide advice on which policy is best suited you and your home. They are available on 01202 937430 Monday to Friday between 9am and 6:30pm and on Saturdays between 9am and 12:30pm.